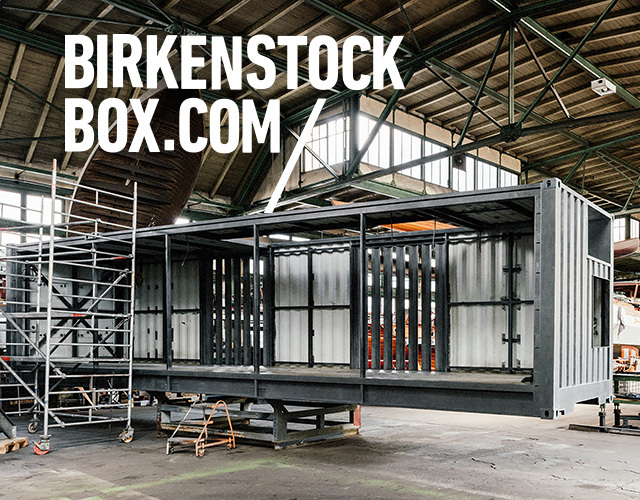 Berlin, July 6th 2017 - Designed by Gonzalez Haase AAS, BIRKENSTOCK’S mobile retail concept debuts at Andreas Murkudis during Berlin Fashion Week with a cocktail and private dinner. About 300 guests gathered on a summery evening in and around the BOX in the courtyard of 81 Postdamer Strasse. This marks the first stop for the traveling, ephemeral retail concept. Cocktail guests included Hannah Herzsprung, Justin O'Shea, Veronika Heilbrunner, Thomas Kretschmann und Christiane Arp. At 9:30pm, select guests headed a few doors down to Galerie Judin for a dinner hosted by Andreas Murkudis. The BOX opens to the public on July 7th at 10 a.m. and will remain at Andreas Murkudis through July 22. 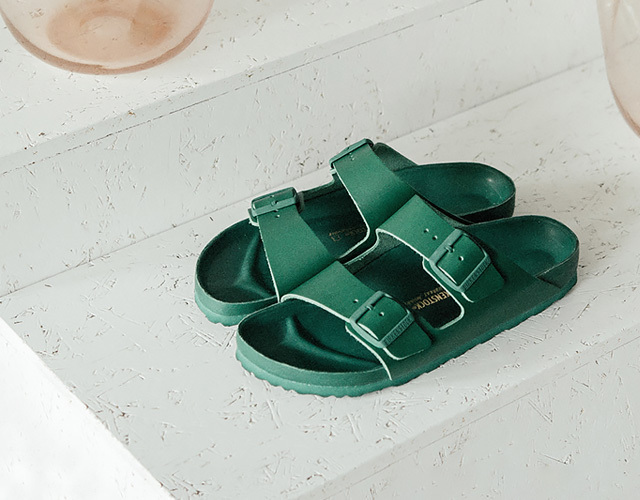 In addition to the site-specific interior, Murkudis also curates a selection of apparel, accessories and lifestyle products from various designers and brands to complement the BIRKENSTOCK offering, including limited edition BIRKENSTOCK shoes, exclusive to this location and designed in collaboration with Andreas Murkudis. The bespoke styles designed by Andreas Murkudis follow the “Allover-Concept” creating a complete black and a complete green style. The favorite classic style Arizona is fully lined by hand in nappa leather, the adjustable metal pin in the same color has a tarnished finish. Conceived as a traveling space, the container is treated as light box, reflective from some angles and translucent from others. The design is rooted in existing codes of industrial intermodal containers. The vertically corrugated surfaces have been segmented, cut into and paneled with glass and natural wood, thus allowing outside and natural light to enter. The play between natural and artificial light is a signature of Gonzalez Haase AAS. These vertical slits visually lighten the structure whilst connecting the interior space with its environment, by emphasizing the movements of the sun. The container becomes a partially open, breathable object, creating a neutral, balanced and quiet space to showcase the retailer’s edit.